The Dirty Bloody Martini is a spicy drink featuring pepper vodka as its main ingredient. 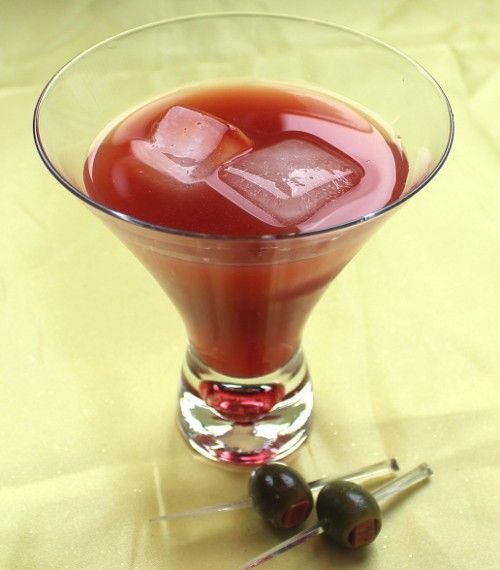 The other dominant flavors come from the Clamato and the olive juice, so this is a savory drink. Overall, it may remind you of a cross between a Bloody Mary and a vodka martini. The savory and spicy flavors make this drink really different and interesting. Fill a cocktail shaker with ice and pour everything in. Shake until the shaker frosts, and then pour everything (ice cubes included) into a cocktail glass. Garnish with olives. we have to try this ! !